Functional math skills are those skills that a student needs in order to live independently in the community, to care for themselves, and to make choices about their lives. Functional skills make it possible for our students with disabilities to make choices about where they will live, how they will make money, what they will do with money, and what they will do with their spare time. In order to do these things, they will need to be able to count money, tell time, read a bus schedule, follow directions at work, and know how to check and balance a bank account. One to One Correspondence: Before students can understand numbers and numeration, they have to understand one to one correspondence. In other words, as one counts, he or she matches each item to a number. They understand that the number represents a matching or a corresponding number of items. One to one correspondence will also be helpful in such household tasks as setting the table and matching socks. Number Recognition: This includes recognizing and being able to write the 10 digits, and then recognizing place value: tens, ones, and hundreds. Skip Counting: Minimally, skip counting by 5's and 10's to 100 is important for understanding time (5's) and money. Skip counting can happen on a hundred's chart or on a number line. It may be good to build skills on both. Operations: A basic grasp of addition and subtraction is helpful. At another point, if your students grasp an understanding of these two operations, it may be possible to introduce multiplication and division. They may never grasp the ability to do the math operations themselves independently but may understand how the operations are used in order to use a calculator to do different sorts of functional calculations, like balancing a bank statement or paying bills. Time as a functional skill is both about understanding time, in order to use time in a reasonable manner (not staying up all night, not missing appointments because they don't leave enough time to get ready), and telling time, in order to use both analog and digital clocks to get to work on time, to get to the bus on time, and the many other ways we need to be mindful of time, whether to make a movie time or to meet a friend. Understanding Time involves have a concept of time, understanding that seconds are fast, minutes almost as fast, and hours much longer. Students with disabilities, especially significant cognitive or developmental disabilities, often will have behavioral outbursts because they are "stuck" on preferred activities, and don't realize they will miss lunch. For them, building an understanding of time may involve a visual clock, like a Time Timer, or a picture schedule. These both give the student a sense of control over their schedule and an understanding of what happens and when during their school or even home day. Parents may also benefit from having visual schedules at home. For children with Autism Spectrum Disorders, it can help avoid long periods of self-stimulatory (stimming) behavior, which may actually undermine progress they are making at school. Telling Time: Often, when teaching time, it is worthwhile to pair telling time with understanding time: that 6 a.m. is when you get up and 6 p.m. is when you eat dinner. Once students can tell the time to the hour and half hour, progress to skip counting by 5's and telling time to the five minute. A geared clock, such as a Judy Clock, helps students understand that both hands move together. Money, as a functional math skill, has several levels of skill. The first is recognizing money: pennies, nickels, dimes and quarters. Second, also a lower level skill, is counting money: first a single denomination and later mixed coins. Later, it is important for students to understand the value of money, which will involve budgets and understanding wages and paying bills. Length: For functional purposes, measurement focuses on use. 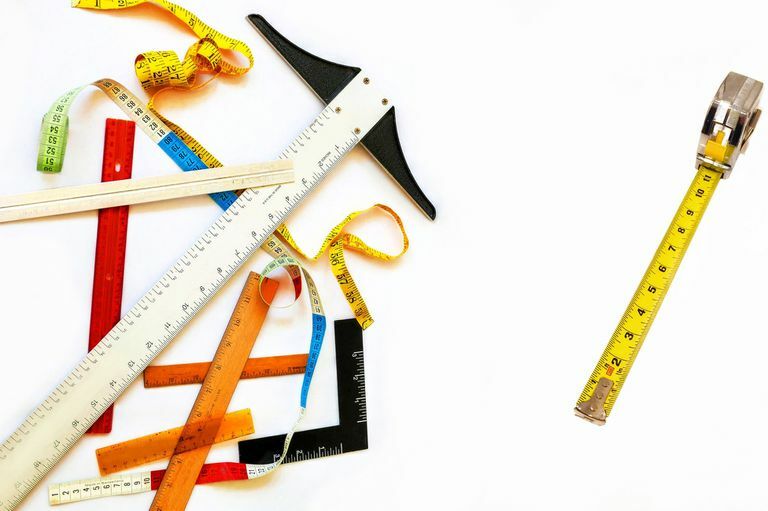 A student should be able to use a ruler and even perhaps a tape measure for length, and recognize inches, half and quarter inches, and feet or yards as larger measures. If a student has an aptitude for carpentry or graphic arts, the ability to measure length or size will be helpful. Volume: Knowledge of measures of volume, i.e. cups, quarts, gallons, etc. is useful for filling tubs, cooking, and following directions. When cooking is part of your functional curriculum, a knowledge of measures of volume will be helpful. Students should be able to choose what they will cook, and find and read recipes. With support, they will be able to cook. Familiarity with measuring volume will help students who want to pursue work in culinary arts, even as kitchen assistants.